Hi and welcome to the Unity Stamp Company and Scor-Pal Blog Hop! Our teams have come together to show you ALL of the amazing things you can do with Unity Stamp Company stamps and Scor-Pal products! 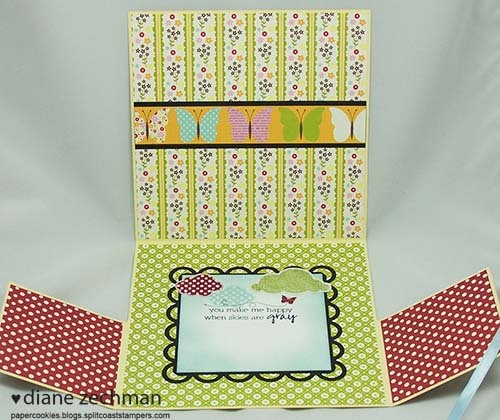 Along the blog hop you will find cards and projects that are sure to INSPIRE you! 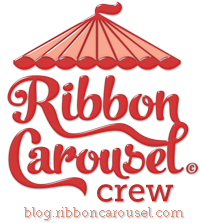 Oh and we have prizes, too, so BE SURE to leave a comment on ALL of the blogs on today’s Blog Hop! 1 will get a Scor-Pal and 1 will get 10 Unity Itty Bitty stamps of their choice! Winners will be picked from ALL of the comments so the more comments you leave, the more chances you have to WIN! 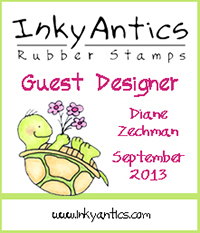 The winners will be announced on Thursday, September 15th on the Unity Stamp Company blog and the Scor-Pal blog! For my project I used the Unity stamp set Blossom Soup. And I couldn’t help but to purchase the matching Blossom Soup 6×6 paper pad by Jillibean Soup. Cute paper! Below is a close up of the front. 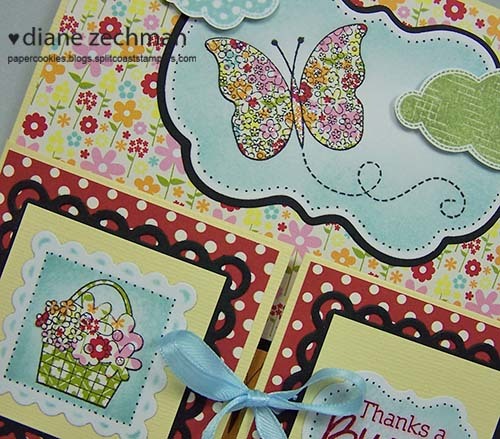 The butterfly and flower basket were paper pieced with the matching patterned paper. Each layer was sponged with Soft Sky ink before they were removed from the dies. No coloring involved here. 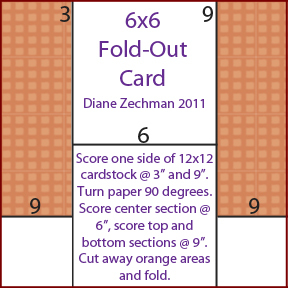 The Scor-Pal makes this card very quick and easy to create! Be sure to check out the rest of the blogs on the hop and comment for a chance to win. stamps- Unity Stamp Company- Blossom Soup; paper- black, white, Bazzill yellow, Jillibean Soup- Blossom Soup; ink- Memento Black, SU! Soft Sky, Pear Pizzazz, and Cherry Cobbler; accessories- Scor-Pal, Lacey Squares & Labels 14 Nestabilities, Offray ribbon, 1/8″ Scor-Tape, Stickles. This entry was posted in cards, etc., Scor-Pal, tutorials and templates. Bookmark the permalink. What a cute design! Looks super cute and easy. oooo! such a beautiful card. loooove the papers and how you used the stamps. WOw I love it…I love how you also used Jillibean SOup..
very nice card. thnaks for the directions. what a beautiful interactive card I love it!!! thanks for sharing how you made it too! What a fun card! Very creative! Such a cute and fun card! Love the directions too. Whoa! Jillibean never looked so good! I LOVE this card! And the idea is beautiful with the sides! Great fold idea for the card..will use that idea! Wow, this is a VERY cool folded card. LOVE it!! Awww! I really LOVE this card. So pretty!!! What a cute idea for the card design! Great card and thanks for the tutorial! Love the colors all together! Cute Cute! This is really cute! I will have to try one of these. Very nice, love the paper. I love the fold on that card…that is so cute!!! Adorable card! How beautiful and creative! Thanks! What a cool design, I can’t wait to make one of these! and your paper choices and stamps are so beautiful! Beautiful card, I’ll have to give this a try! Thanks for the instructions. The card is great and thanks so much for the great directions too! There is so much to learn here. I loved this new fold and all the things in this are so beautiful. I must say a perfect card. this is a wonderful card. I love that card… Glad you posted a diagram of it! I love this card and it looks so fun to make, thanks for sharing the diagram. 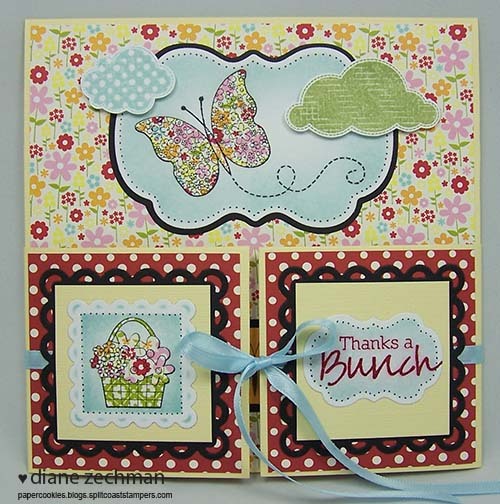 I love butterflies and how you used them for your card. Just lovely! OH MY Goodnesss!!! I LOVE your card!!! I have never seen this card before. I can’t wait to get in my craft room and make one today! Thanks so much for the EASY tutorial! YOU made my day on this hop! I just love your card it’s great. Thank you for sharing your card and the instructions. This is wonderful. Thanks for sharing as I haven’t seen this one before! I definitely plan on trying this! Wow, I will totally be trying this. Love love love it! Love this idea and card! Thanks for the tutorial. Very cool card LO. Beautiful use of Unity stamps too! 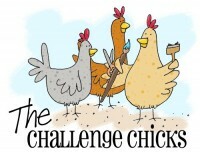 Great card–thanks for sharing the plan. Love the card and thanks so much for the measurements. Very nice card and a great card idea for all occasions. Just so Fun! Thank you! I LOVE this card. Beautiful work. Great card design-so creative! Thanks so much for sharing your cute card and template! Very clever card! Too cute! Wow, your card is so amazing. Thanks for sharing. That card is so sweet! thank you for sharing your talent. Love the design of the card and love the paper! Oh my gosh, this is very cute! Love the folding flaps on this! How totally sweet! What a great design for this card. I can see how a ScorPal would really make this a cinch. Thanks for a fun idea! Love your card! So pretty and thanks for the cutting/folding instructions! Perfect for some 60th anniversary cards I need to make!! Love this card! It is so eye-catching with all the different details! Thanks for sharing the instructions to make it, too. Great idea, love the stamping with out the coloring. Very cute. Diane I love this card. loving the folds and the Jillibean papers and stamps. so glad to be hopping with you today. Oh so very cute!!! I am definitely going to try this!! Thank you so much for sharing how you did it!!! what a cute project. cant wait to lift it. What a fabulous folded card! Thanks for the picture of the dimensions–that will make it so easy to try! What a great card, love those Jillibean/Unity stamps and this card is great! Adorable project! I love the colors and the design! LOVE this card. Love the design and the color choices. TFS. Diane, you did a fabulous job with this! Looks great! Wow – this is so beautiful! Love the colours. A nice card idea – and I like the way you tied the flaps. WOW!! This is one cool card! I love it! Great idea; so many ways you could use this basic format. I love te beautiful card. Butterflies are my favorite. Love the fold out. Thanks for the chance at the win. I love your card and how it folds. Got to try this. Wow, LOVE it!! This is a VERY cool folded card. Supper cute love the fold out card. your colors are great and the Butterflies a the best. they are my fav, thanks for sharing and for the chance to win. Very cute and elegant fold out card! I love the papers that you choose for it. Very inspiring! Thanks for sharing. Totally gorgeous (drool)!! LOVE this fold and your colors are phenomenal! Gorgeous Card!! Love the colors!! The tie in the front is such a fab element of this beauty! Love your design and papers! 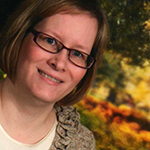 I love blog hops! Thanks for the chance to win! Fun card! thanks for the chance to win!